The chest plate harness gives the best possible support for walking,sporting and travelling dogs. It has a padded chest support that will form to the dogs chest for a custom fit. 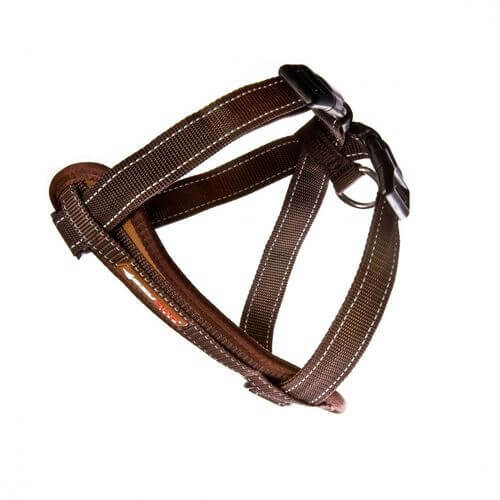 This harness is easy to fit and provides the best control for a hard pulling dog. The reflective stitching and rust proof D-ring provides safety and security for daily walks. Your dog can be safely restrained in a vehicle with the minimum of fuss by using the detachable, swivelling restraint.